Our range of products include semi automatic strapping machine, automatic strapping machine (offline) and fully automatic strapping machine. 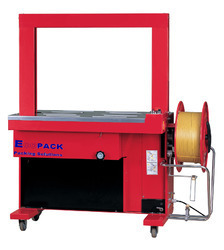 We provide the Semi Automatic Strapping Machine to the clients. The product is made of best quality. 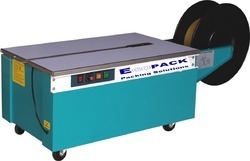 Automatic strapping machine is widely used to strap various packages (except annulations) in all kinds of fields. It can be single-unit operation or equipped onto the production line. 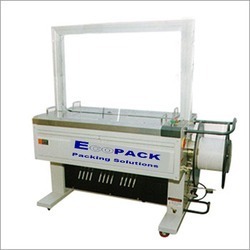 Fully Automatic Strapping MachineThe Fully automatic strapping machines provided by us are developed with state-of-the-art innovative designs. These are compact and assembled for lightweight to ensure easy mobility. 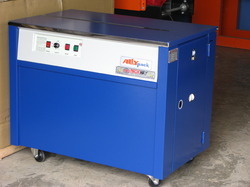 This machine is fitted with a concise, low maintenance sealer head. 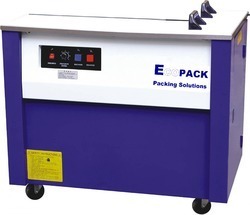 Semi Automatic Strapping Machine is suitable for cartons, calcium-plastic cases, books, soft and hard packages as well as all kinds of articles in square, cylinder or annulations. The machine with very low table is suitable for the packages that are very large or heavy. Enriched with vast domain experience, we offer wide array of Semi Automatic Strapping Machine that are treasured for compact designs and varied patterns. Our entire range is delivered in varied sizes and dimensions and is compact in designs. Our entire catalog is hygienically approved and is offered in varied patterns. Moreover, we deliver them as per the individual preferences. Semi Automatic Strapping Machine is extensively used in various industries for plastic strapping boxes and n various fields such as light industry, foodstuffs, etc.